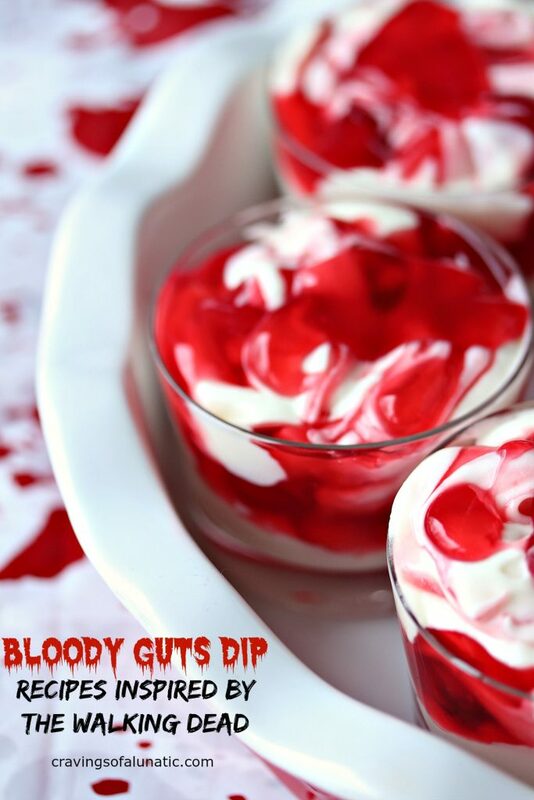 Mix up this Bloody Guts Dip for your next Walking Dead Party. Celebrate in style by whipping up a batch of this easy cherry dip. 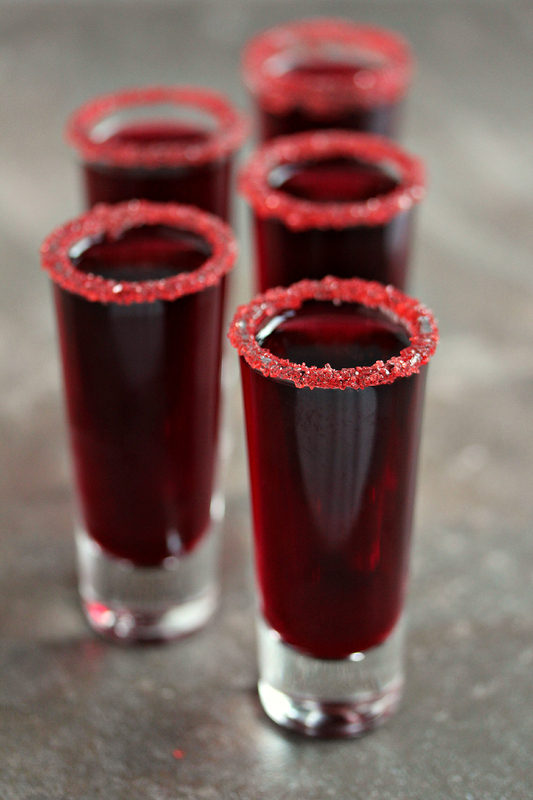 Layer it so it looks like you’re digging into a bloody mess. 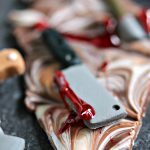 I made chocolate zombie body parts to use for dipping. 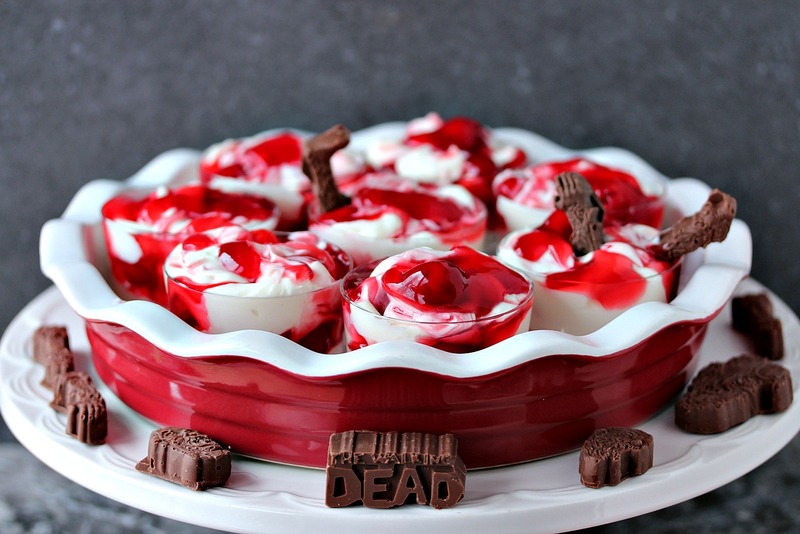 Welcome to Day Two of Dead Eats 2: Recipes Inspired by The Walking Dead. This event is being held by myself, Dionne of Try Anything Once, and Heather of All Roads Lead to the Kitchen. There’s a giveaway for One Complete Set of The Walking Dead DVD’s so be sure to scroll to the bottom of the post to enter for your chance to win! Okay, let’s just get this out of the way right now. My name is Kim and I’m a Walking Dead addict. I’ve watched the series 20 times and have no plans to stop. I LOVE this show. Way too much. So I decided holding events on the blog that revolve around the show was a stellar idea. You’re welcome. I could not resist making something a bit icky this time around. What I love about this one is you can make it look beautiful or you can make it looks disgusting. The choice is yours. If you want to play up the creepiness of it make the dip really lumpy then use a toothpick to make the top look like blood splatters. If you want to make this because you just love cherry dip you can layer this beautifully. 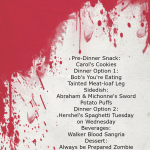 No one will ever know it’s a recipe for a Walking Dead party. You decide which way you want it play out. This recipe came to mind while watching the episode Thank You. 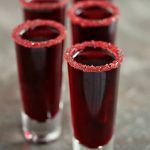 When we see the guys fall off the dumpster and the chaos that ensues as the walkers swarm, that’s the scene that inspired this particular recipe. When you see all the blood and guts being torn into it’s just a sea of red. That’s where my mind was while making this one. 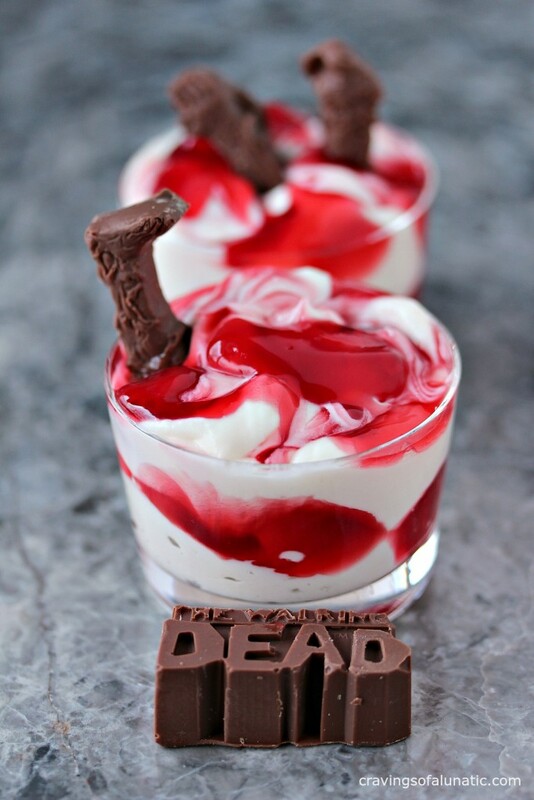 I wanted a recipe that would impress with taste but something that could be used for a Walking Dead Party. My family goes crazy for cherry cheesecake so this easy dip seemed like the perfect recipe. This is sort of a cross between cherry cheesecake and marshmallow fluff cream cheese fruit dip. I knew it would be a hit. I went back and forth whether to make it look like a graveyard or whether to keep it a bit plain. I decided to keep it plain since I was going for easy and quick. 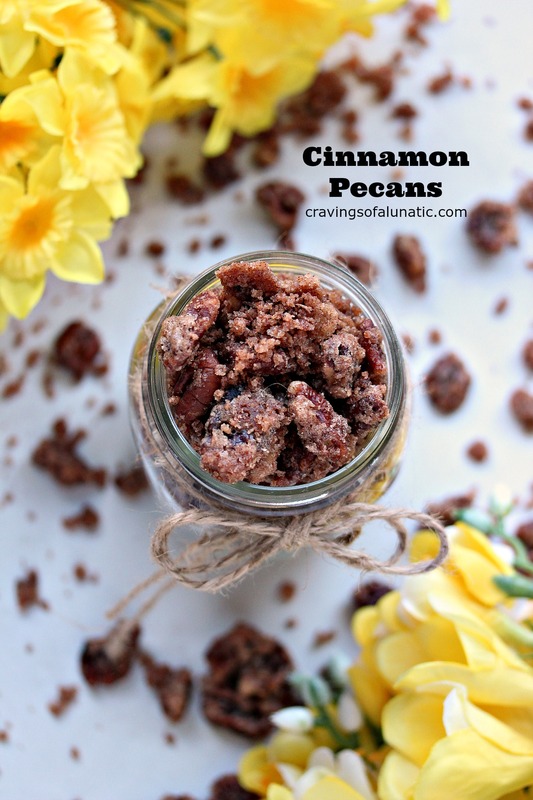 This recipe seriously takes only minutes to make. I love recipes like that. Ones that deliver huge taste for minimal effort. Who has time for complicate recipes during an apocalypse? If you’re a huge fan like me you were probably grief stricken over the fate of Glenn. The episode that inspired this recipe had me in tears. The thought of any of beloved characters dying just does me in. I adore Glenn, he’s always looking at life with a glass half full kind of attitude and I dig that about him. He has hope, which isn’t easy. My hope is that Glenn sticks around forever. I honestly hope him, Maggie, Rick, Daryl, Carol and Carl hang in there through it all. Anyone else can bite it, but those 6, nope, I want them all to survive. I can’t help myself, I play favourites. It’s hard not to when you become so hooked on a show like this one. They seem to leave us breadcrumbs to follow. I just hope the foreshadowing isn’t always right. I keep thinking about Daryl in the coffin or Daryl lying next to the motorcycle walker on the ground and I want to scream. You can take anyone you want but leave Daryl the hell alone, Gimple. No joke! Okay, now that I’m done rambling you should probably go whip up this dip before the next episode. I’m so stinking excited for Valentine’s Day. I mean this recipe is just screaming Valentine’s Day, am I right? Whip some up for your sweetheart. Just leave out the body parts for dipping. 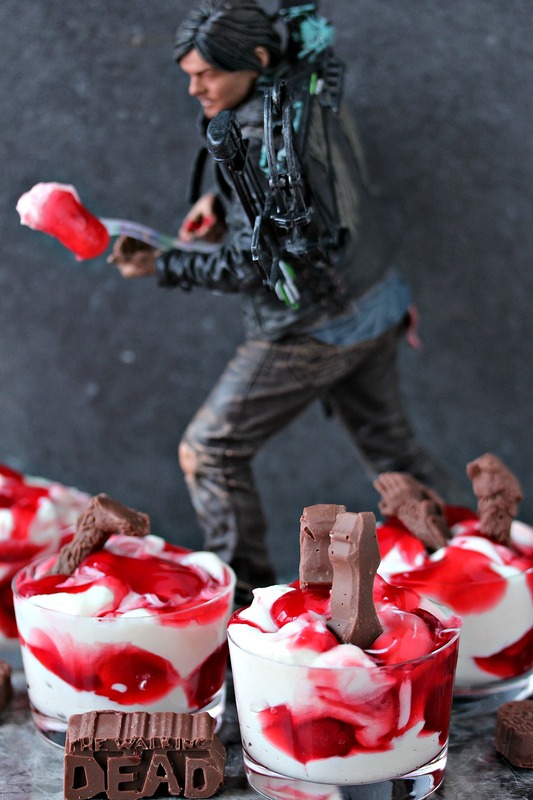 Mix up this Bloody Guts Dip for your next Walking Dead Party. Celebrate in style by whipping up a batch of this easy cherry dip. Layer it so it looks like you're digging into a bloody mess. I made chocolate zombie body parts to use for dipping. In a stand mixer whisk the cream cheese until fluffy, add the heavy cream and mix slowly, then gradually increase speed to high, mix until the mixture become fluffy but still soft. 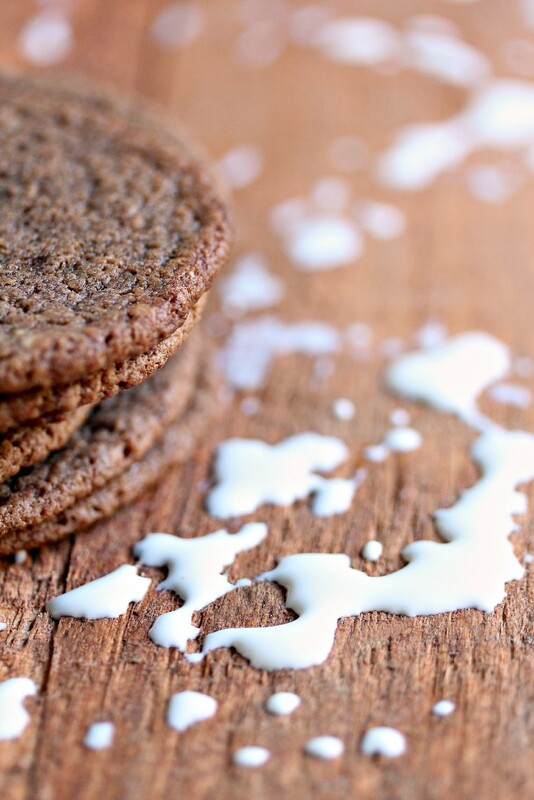 Add the confectioners' sugar and marshmallow cream, mix again until well combined. Alternately scoop small spoonfuls of the pie filling and dip mixture into small serving dishes. Just keep layering so it looks random and jumbled. Once it's layered completely take the blunt edge of a butter knife and just drag it through random areas to make it look splattered. Place the dishes in the fridge for at least one hour, or up to about 4 hours. You can purchase The Walking Dead Silicone Tray from Amazon. Melt chocolate in the microwave for about 1 to 2 minutes, stir until smooth. Pour into silicone tray. Place in the freezer for about 15 to 30 minutes. Remove and turn over to remove the chocolate pieces. Serve with the dip for dunking. Watch your friends faces as they dunk zombie parts in bloody dip, it's delightful. 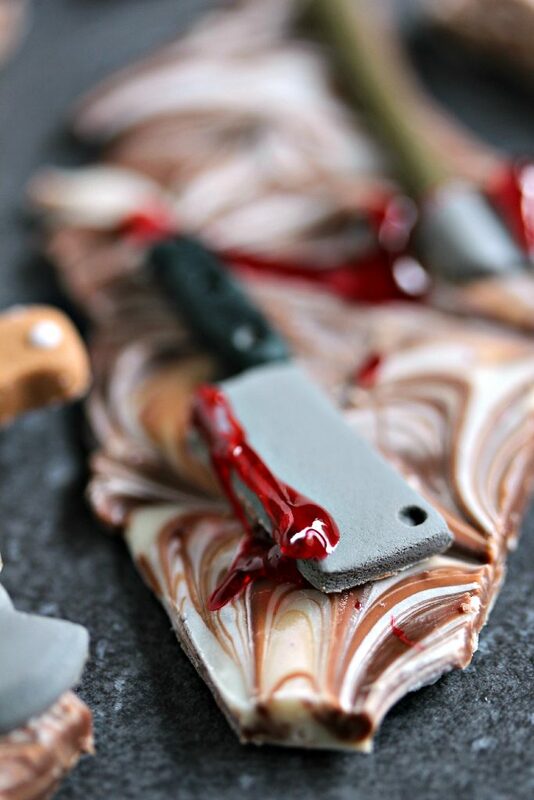 Serve the Bloody Guts Dip with a big old bowl of Chocolate Zombie Body Parts. Plus a big old TWD loving smile! You can buy The Walking Dead Silicone Tray on Amazon. This dip is delightful. In the creepiest way possible! No Walking Dead Post would be complete with a photo of Daryl. How about one more for good measure? M’kay! I’m not even sorry. I love having Daryl join me for photo sessions. Like the apron? You can order The Terminus Apron through Amazon. I’m an affiliate so if you do I earn a few pennies. So if you do thanks for the pennies. They add up over time. Then I can buy more Walking Dead props. It’s what I live for! Open to U.S. and Canada. Must be 18 years of age, or older. Enter for your chance to win One Complete Set of The Walking Dead DVD’s, Season 1 -5. Pin the collage below to share the Giveaway with all your TWD obsessed friends! 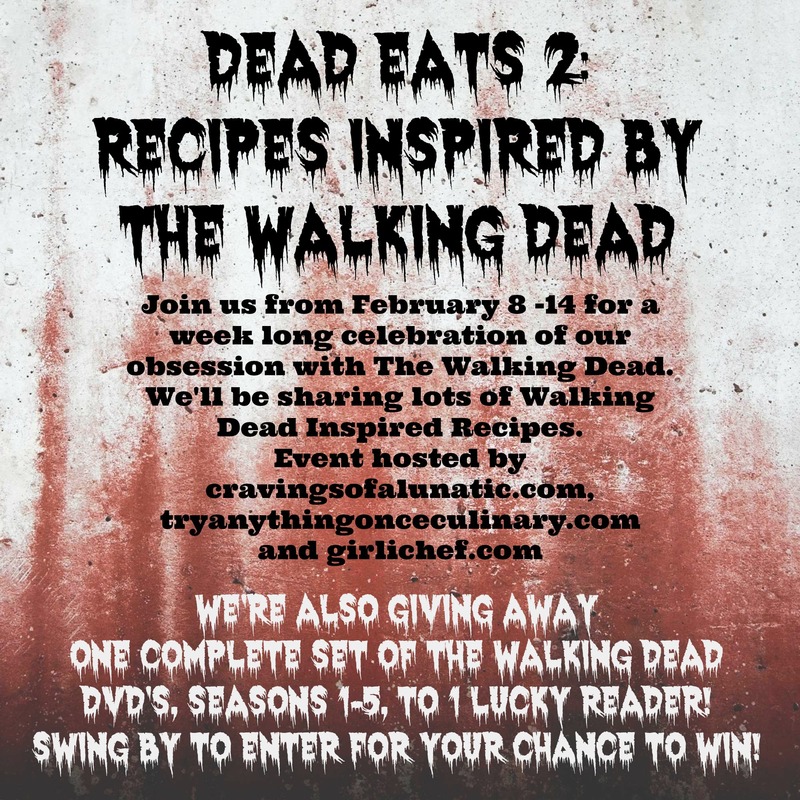 Tune in all week for more great recipes inspired by The Walking Dead. Share with your TWD loving friends. 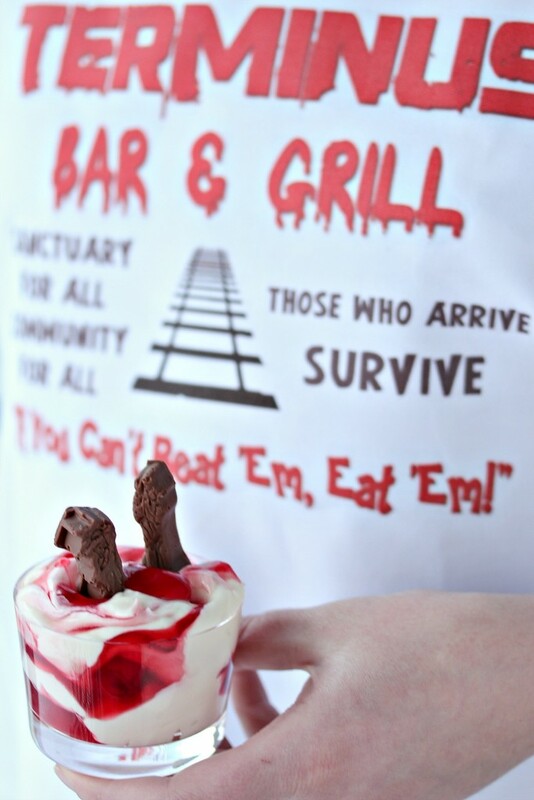 We have tons of Walking Dead Inspired Recipes to share so you can throw your next Walking Dead Party in style! 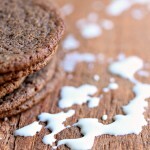 Carol’s Cookies for Dead Eats: Recipes Inspired by The Walking Dead! My favorite character is also Glenn! He’s got the biggest heart. I actually DID cry during that episode. And what would Maggie do if he was gone?! Losing her sister and dad…she needs Glenn. WE ALL NEED GLENN! 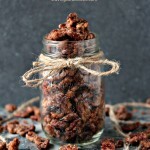 Thanks for these awesome recipes! This is such a fabulous idea for a party! Your pics are so funny!! This is hilarious and I love the name!! I really need to get on board with this show!! I always feel like I’m missing out when I don’t watch Walking Dead, especially with fun desserts like this! I just want you to know that even though I don’t watch the show, I love all of thee recipes. My husband wanted me to watch a marathon while i was in the hospital (he’s obsessed with the show too) and he has been showing his coworkers all of your recipes too. I guess they are all obsessed 🙂 Great job, so creative! I love the color of these. 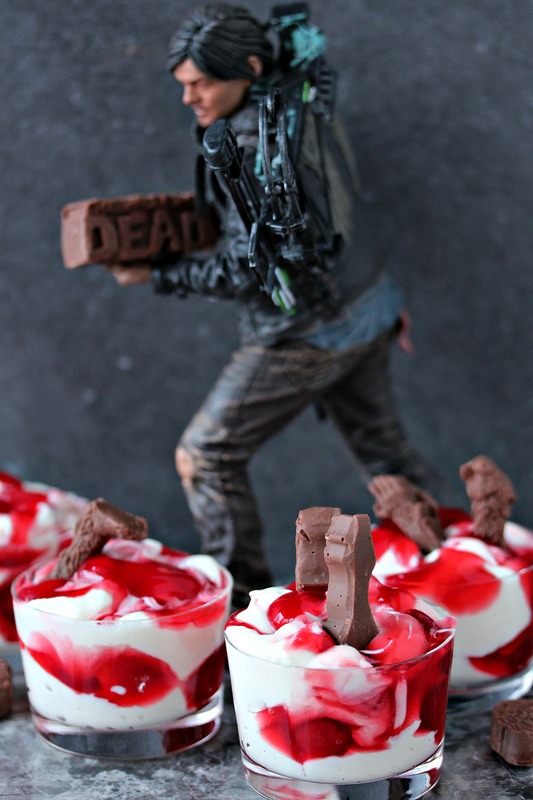 You guys are killing it this week with TWD inspired eats. The Darryl cameos are hilarious. I’ll pretty much hoover in anything with cherries and cream cheese. So, I have to confess, I didn’t read your whole post. I stopped when you started talking about the Thank You episode — since I haven’t gotten that far yet, and was afraid there would be spoilers. Eeek. As for this dip — how fun! Sooooo cute! 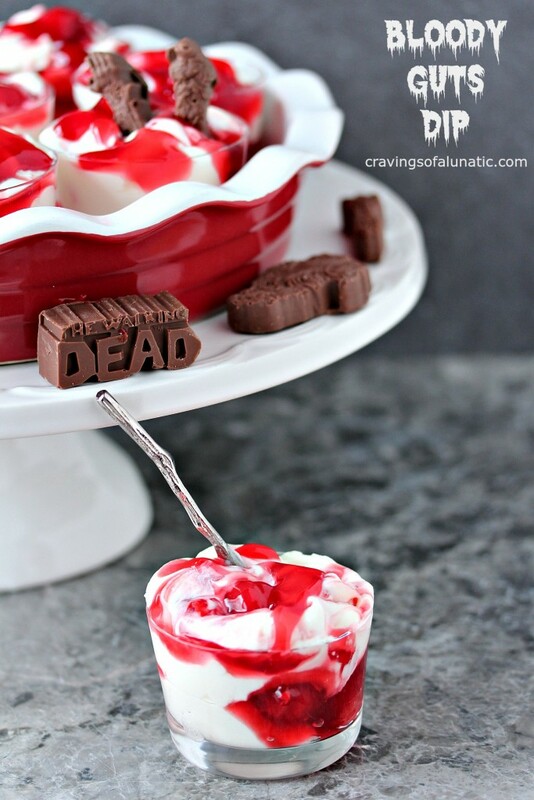 This dessert would be perfect for a WD viewing party 🙂 And I love that little chocolate WD mold. Awesome!!! I love this! I’ve never watched an episode of TWD but I really need to make this dip. It sounds delicious! What a great idea!! Not a walking dead fan but love the dip! Thanks so much Jamie. I’m a serious TWD fan. I think I’ve watched it 26 times now. Ha!